Protecting the value of your seasonal and holiday decorations is vital when it comes to saving money. Thousands of people will retrieve their decorations this year and find a light missing or bulbs cracked due to the style in which they stored their decorations. This style is usually due to the lack of space and having to force those decorations into a small space. By renting a storage unit, you will have dedicated space to utilize and store your holiday decorations safely. This will protect the value of your decorations, saving you money from replacements and repairs. Between deciding where to put certain decorations and how to hang them properly, holiday decorating is already stressful enough. Worrying about where the decorations are, whether they were stored properly, and if they are broken can add stress and ultimately affect your mood. Storage units provide peace of mind so you can know your decorations were secure, safe, and stored in a proper place where leaks and other factors couldn't harm them. Holiday decorations can take up valuable space in your business or extra room. This extra space could be used to house guests when they visit, store food storage, or even provide your family with more recreational living space. What family wouldn't want an extra pool table or theater room because they were able to move all of their decorations to a storage unit? The holiday season is always an exciting time of the year for families and friends. 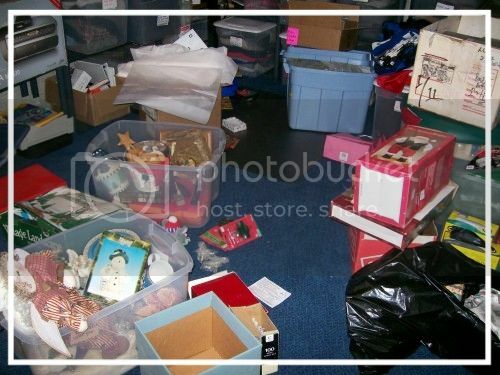 Save yourself the time, space, and stress and help this year's decorations retain their value and store them in a storage unit here at Ashley Storage. We will help you with your holiday decoration storage needs.